The new MU909020A Optical channel Analyzer module is a field modular device designed to measure and monitor power and wavelength over the 18 CWDM channels. It is a cost-effective alternative to more complex OSA for the emerging CWDM market, providing fast and reliable measurements in every environment. 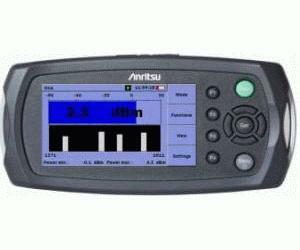 Coming in a small, light and rugged handheld format, this easy to use instrument is the ideal and essential mate of each field technician for installation, maintenance and troubleshooting of CWDM access networks.